The BCIT Marketing and Communications Department began in 1974 in conjunction with BCIT’s first year as an autonomous entity under a Board of Governors rather than under the direct control of the British Columbia Department of Education. BCIT Principal Gordon A. Thom created three new Executive Directorships in this year: Technology and Education; Administration; and Personnel, Information Services and Student Services. The Marketing and Communications Department started as an area of service provided under the Executive Director, Personnel, Student Services and Information Services. It was known as Information Services although the term “communications” was used to describe its duties and responsibilities. The first Director of Information Services was recruited in 1975 and was responsible for information dissemination among BCIT staff, students, faculty and the public. Ensuring relevant parties were aware of decisions and developments at BCIT and providing a mechanism for feedback. 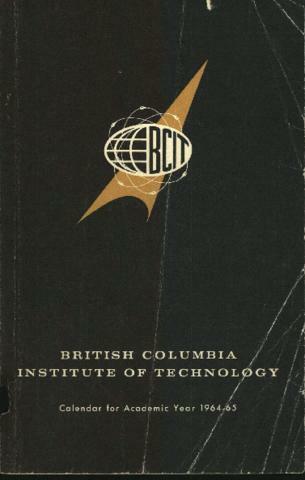 In 1975 the Director of Information Services began work on an information policy for BCIT and revived the newsletter “Developments” which enhanced internal BCIT communications. In 1977 Information Services was moved under the Human Resources Division. During this time Information Services continued its broad-based program of internal and external communications. The department served as liaison between federal and provincial governments on the residence project, participated in presentations on Bill 82, and began work on revitalizing the Alumni Association. In 1979 Information Services, still under Vice President Human Resources, underwent a name change and was known as the Public Relations department. After the merger with the Pacific Vocational Institute in 1985 the department was again moved and given a name change. Now known as Community Relations, the Director of Community Relations/Development reported to the Vice President of Student Services and Educational Support.